You are here: Home / Recipes / Chocolate Almond Butter Smoothie Bowl Recipe for Nut Lovers! I absolutely love nuts and they are an incredibly healthy addition to the diet. High in protein and loaded with nutrition, nuts are a great way to start your day. Almonds, particularly, have a ton of health benefits. They are also absolutely delicious in a number of nut recipes. If you are looking for a unique recipe for nut lovers, try making smoothie bowls! 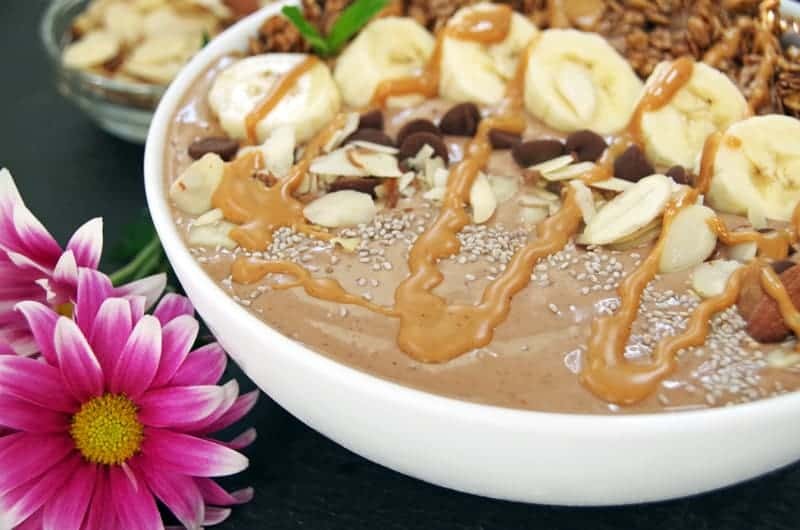 This chocolate almond butter smoothie bowl recipe is a filling and tasty breakfast recipe. And MaraNatha almond butter from Walmart is the perfect choice for nut-lovers who enjoy a healthy lifestyle. Use frozen fruit or liquid: You want the consistency of your smoothie bowl to be THICK. Use the minimum amount of liquid. This will also help with consistency. Get creative with toppings. Smoothie bowl toppings include everything from nuts and seeds to granola or chocolate chips. Get creative! Just because you wouldn’t necessarily put it in a smoothie, doesn’t mean it won’t work as a smoothie bowl topping! Add protein: Healthy smoothie bowls really need to contain protein. Add yogurt or even whole oats, however, nuts are my favorite protein addition to an easy smoothie bowl recipe. I found MaraNatha almond butter at Walmart and it was a delicious addition to this chocolate almond butter smoothie bowl recipe! Shop for MaraNatha almond butter right now! Hover over the photo below for a shoppable link! 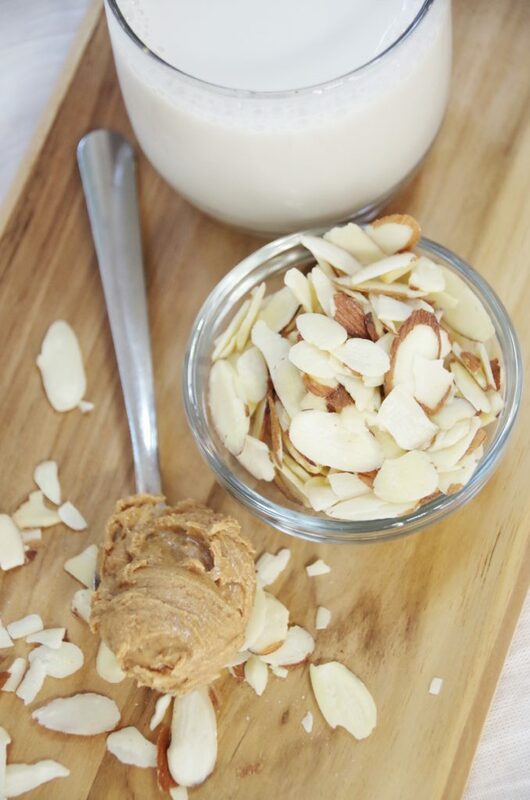 This Almond Recipe for Nut Lovers is a Healthier Choice! Almonds are yummy raw, straight out of the package. Tossed them on salads or add to trail mix. However, they are also delicious when added as ingredients in cooked dishes like casseroles or stir-fries. And almond butter is an easy addition to clean smoothie recipes. I love it with a bit of dark chocolate and sliced bananas! Want to try out MaraNatha almond butter? Almonds are an excellent source of vitamin E, calcium, phosphorus, iron, magnesium, zinc, selenium, copper, and niacin. So many nutrients all packed into one delicious nut. They can help improve overall nutrition and may protect against a number of diseases. Adding almond butter into your diet is an easy way to boost your intake of several key nutrients. Be picky about the almond butter you choose! 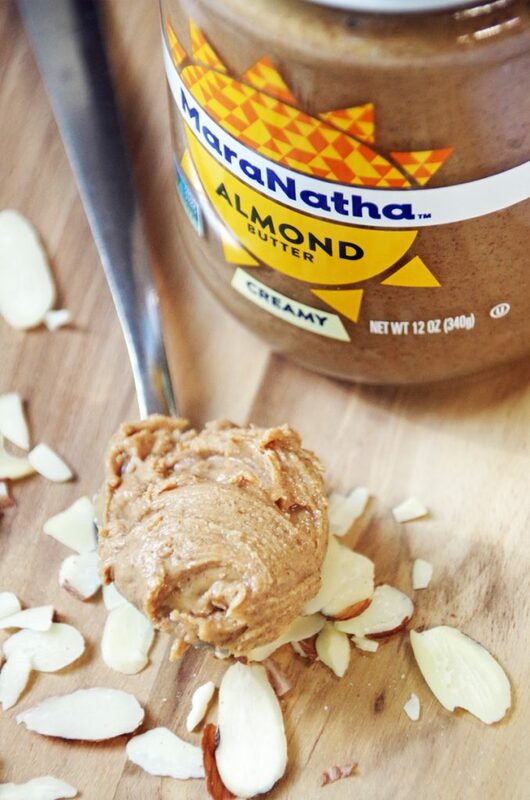 MaraNatha is one of America’s largest producers of high quality natural and organic nut butters. I love that MaraNantha has a No Salt or Sugar Added Almond Butter. If you want all the flavor with no additional salt or sugar, it is a great choice! This healthy smoothie bowl is loaded with almonds, from almond milk and almond butter to actual slivered almonds sprinkled on top. If you are looking for a recipe for nut lovers with a passion for almonds, this is it! There are really just two simple steps to making a smoothie bowl. Blend the smoothie ingredients, then decorate with your smoothie bowl toppings. 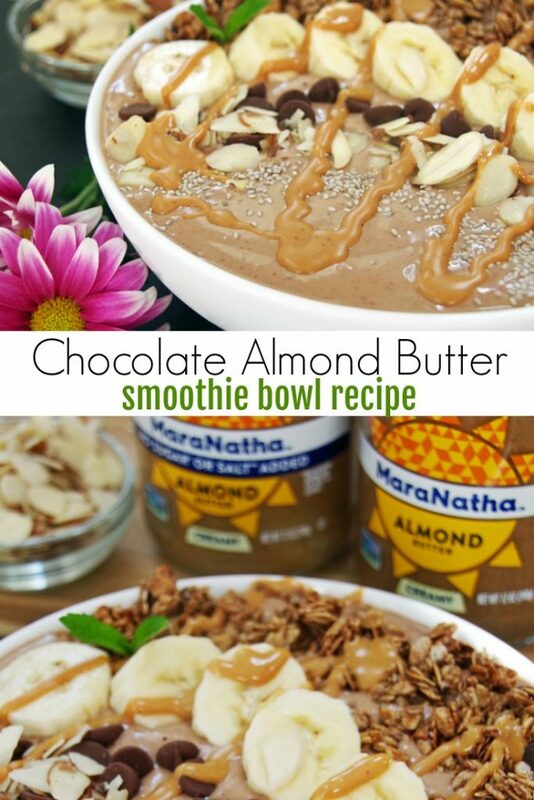 I prefer the no stir almond butter varieties and used MaraNatha Creamy No Stir Almond Butter for this recipe. They use only California almonds, then roast and double-grind them for super smooth texture. It is a delicious, creamy almond butter that is easily spread right from the jar with no mixing. Make sure you refrigerate it after opening so that it stays fresh! Facebook, Youtube or Instagram ! In a blender, combine the smoothie ingredients. Blend the yogurt, almond milk, frozen bananas, almond butter, and cocoa powder until thick and smooth. Pour smoothie ingredients into a bowl. Top with smoothie bowl toppings of your choice in a pattern or just scattered on creatively! 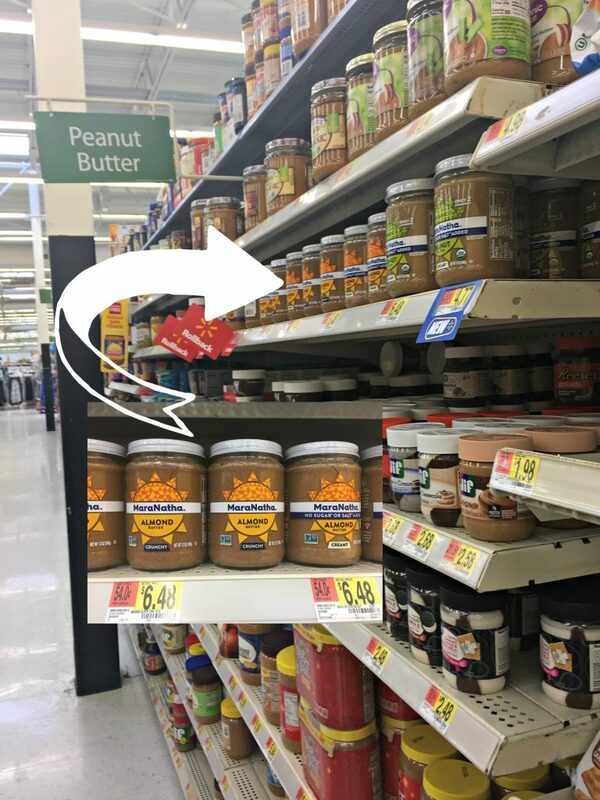 Find MaraNatha Almond Butter at Walmart right where all the other nut butters are found! 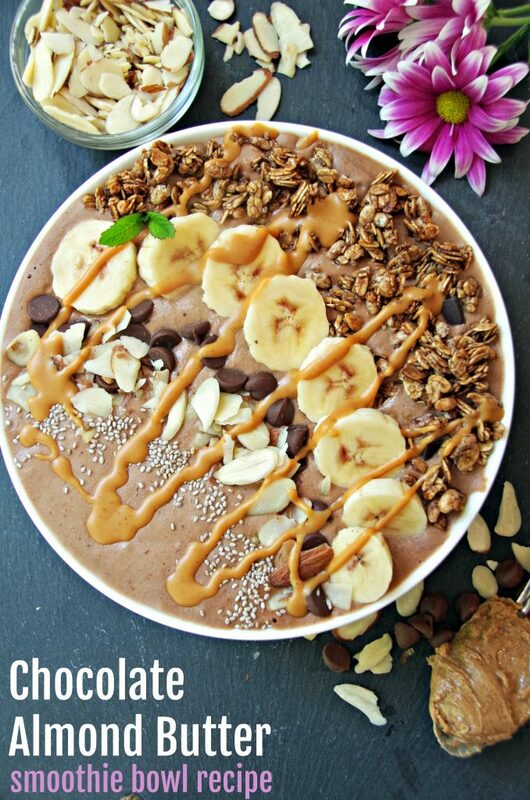 Like this Chocolate Almond Butter Smoothie Bowl Recipe? Pin it for later! Oh yes! We love healthy smoothie bowls at our house. Especially with bananas and almonds. It's as if you have created this recipe just for my family. Thanks!! Yum! That looks incredible. Perfect for my breakfast! I love almond butter, and that smoothie bowl sure looks delicious! I'll be adding that to my "make soon" recipe area. This is such a beautiful and colorful dish! It would be perfect for family dinner or for a serving on a special occasion. The Chocolate almond butter bowl looks so fresh and delicious! Wow. You outdid yourself. That looks amazing. I think I will have to go make that chocolate almond butter smoothie bowl for an afternoon snack! 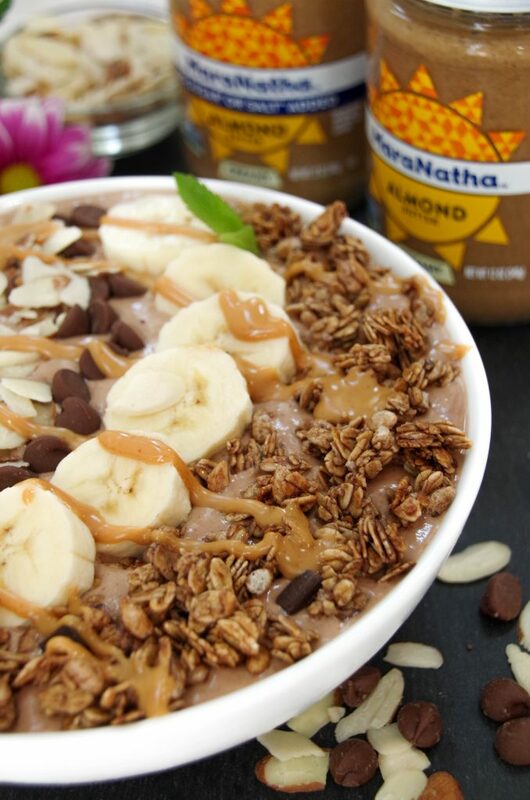 So much deliciousness packed into one smoothie bowl. This flavor combination is one of my weaknesses and now I can easily indulge without the guilt. Yum!